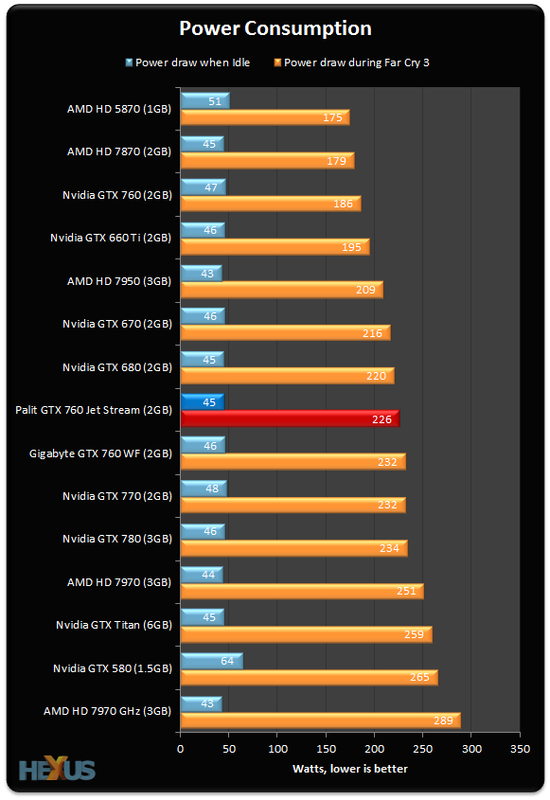 We noted in the Gigabyte review that the under-load power consumption was markedly higher than the reference card's. 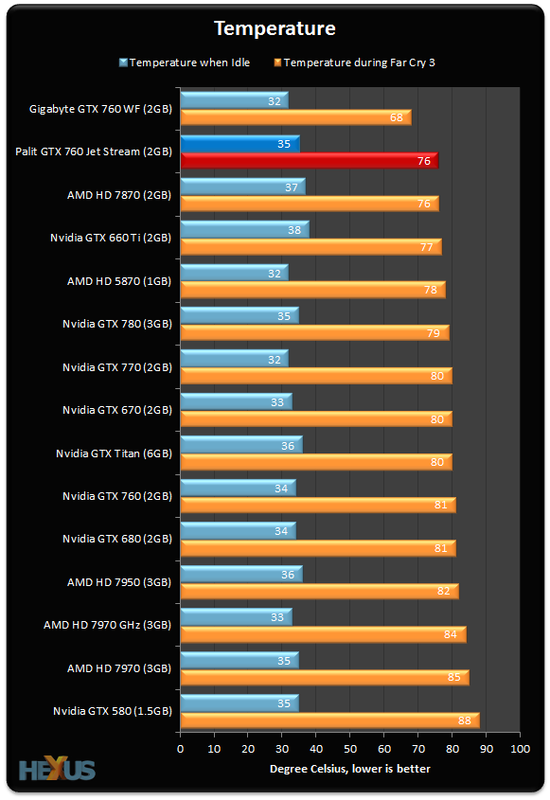 The same is true with the Palit, as it pulls the same kind of power as a GeForce GTX 680. The chunky JetStream heatsink beats out all reference cards but can't manage the excellent figures provided by the Gigabyte card. 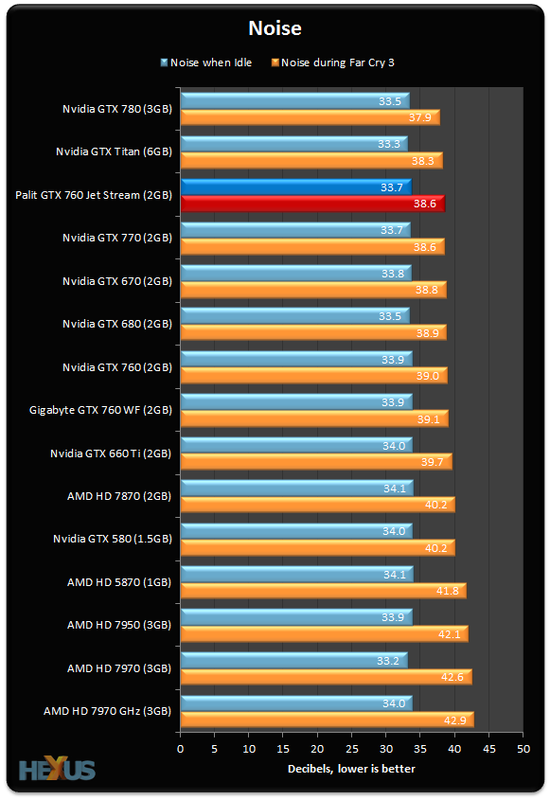 Fan speed doesn't change that much from idle (1,170RPM) to load (1,550RPM). This means the card remains what we would deem as quiet at all times. The JetStream cooling is a proven solution on other Nvidia cards with the same kind of TDP, meaning it's no surprise to see it do well here.